Revenue and Customs has apologised to customers of investment bank UBS Laing and Cruickshank after losing sensitive account information. The Revenue lost a computer disc, sent by the bank, which contained address and account details of UBS's Personal Equity Plan (Pep) investors. The Revenue is investigating how the disc went missing from its offices. The bank has offered to change the account details of customers whose personal information was on the disc. UBS said the CD Rom was sent in late April at the request of the Revenue. Customer information on the data disc included addresses, dates of birth, national insurance numbers, UBS account numbers and the value of their Peps. Last week, UBS Laing and Cruickshank wrote to its customers telling them of the loss. A UBS spokesman told BBC News that worried customers who wanted to change their account numbers would be allowed to do so. It is not clear how many UBS customers had their account details on the CD Rom. However, a spokesman for the bank told BBC News that it was only a "small percentage" of investors. 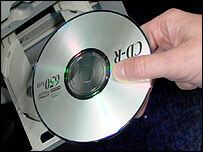 In a statement, the Revenue apologised for losing the disc, which it said had been "mislaid within a local office". "Following exhaustive searches, we contacted UBS Wealth Management to apologise," it added. "This is a one off incident in a single office which receives thousands of pieces of post per week. We are urgently reviewing our procedures to make sure this does not happen again," the Revenue statement said.